Year 2011 was a huge success for Jordan Brand after making waves with their large collection of retro shoes and new models like the Air Jordan 2011, which was a huge hit this year. Next year, Jordan Brand is expected to make another huge splash with their upcoming releases that includes their 2012 edition of the Air Jordan, which has been surfacing on the internet recently. 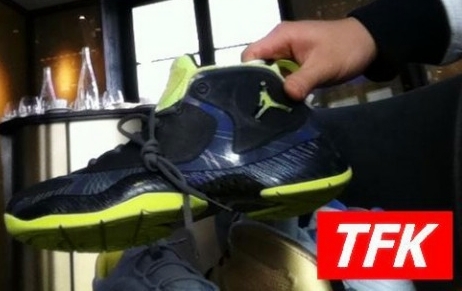 Based on the said to be “leaked” images, the Air Jordan 2012 will feature flywire and nubuck enhanced with a carbon fiber shank on the sole. Expect Jordan Brand to announce this development this Holiday season.